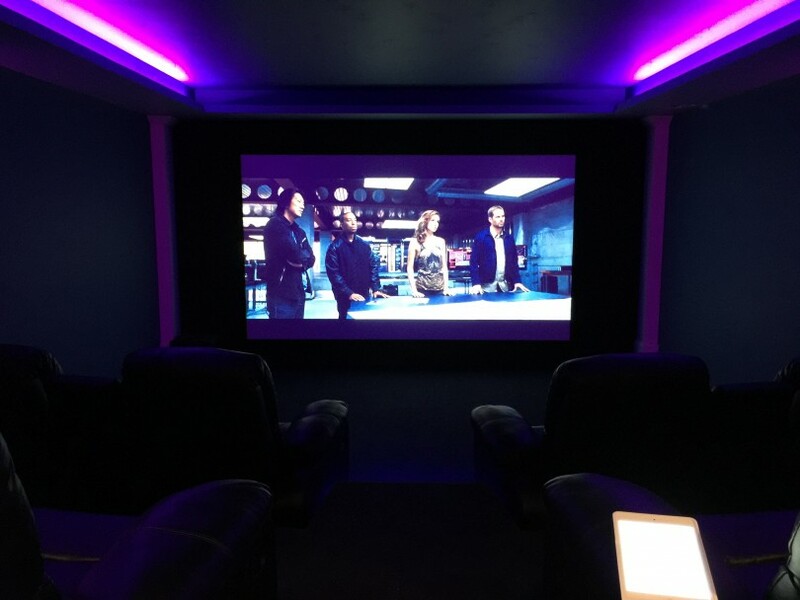 For over 10 years RB Vision have been involved in the design, build and install of bespoke Media Furniture, If you require that contemporary Living spaces, want to hide you media equipment of just like the wow factor our electric screens, automated in-ceiling Projector drops, bespoke TV Beds and motorized units are the ultimate solution. 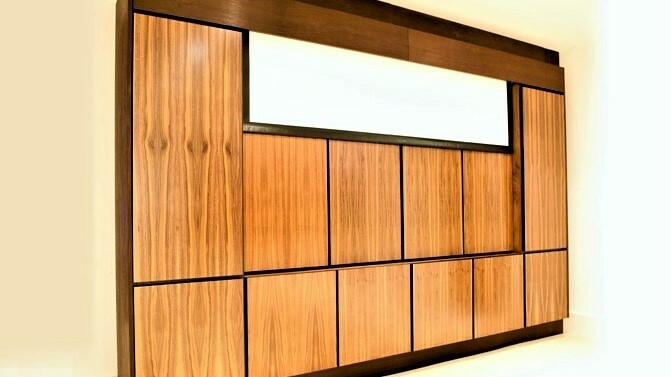 All our Projects can be controlled via iPad, iPhone and iPod to give an intuitive touch control solution. 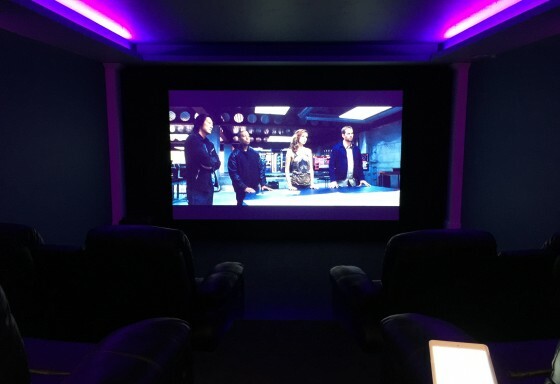 In today’s modern world the concept of having TVs on show, projectors mounted to the ceiling and cinema screens being seen in your Cinema room can be a thing of the past and as people opt for the hidden solution RB Vision have the answers. 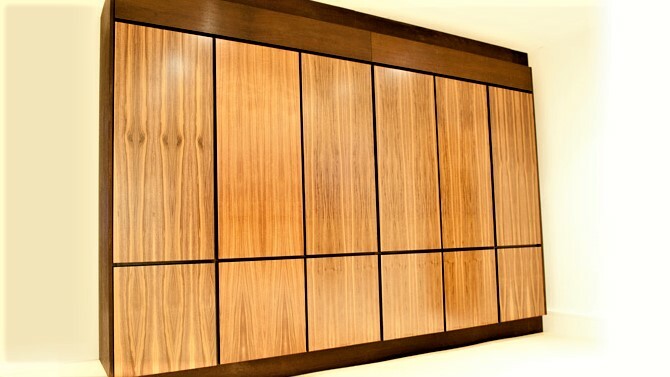 To complete your multiroom system or simply stand out from the crowd, RB Vision’s automated bespoke media range of furniture will do just that. 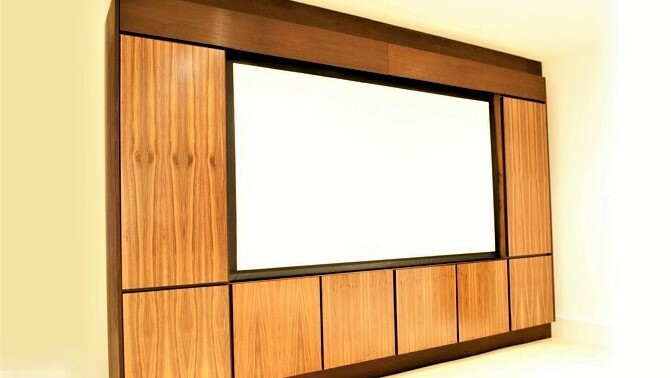 Our custom build Media range combines both bespoke hand-made furniture and Audio Visual systems into one. 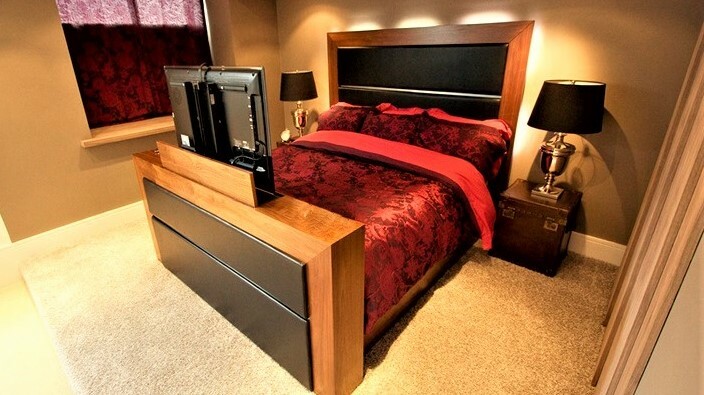 Whether you want a hand-made bespoke Media unit or to have a crystal clear OLED television screen rising perfectly from the foot of our your bed. 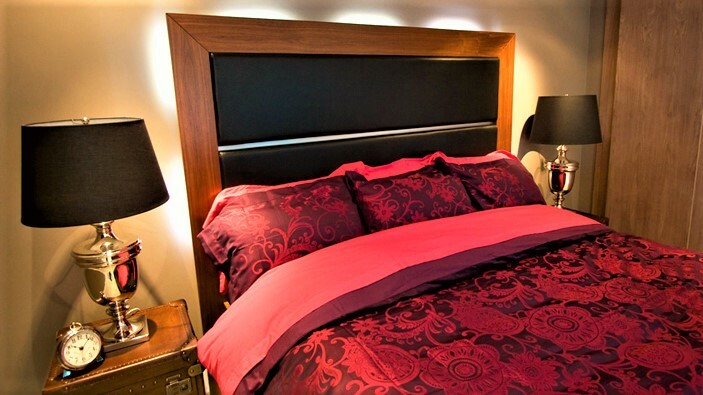 Our designers are on hand to help you create your perfect piece of furniture, whatever it may be. it’s simply beautiful automation at it’s best! 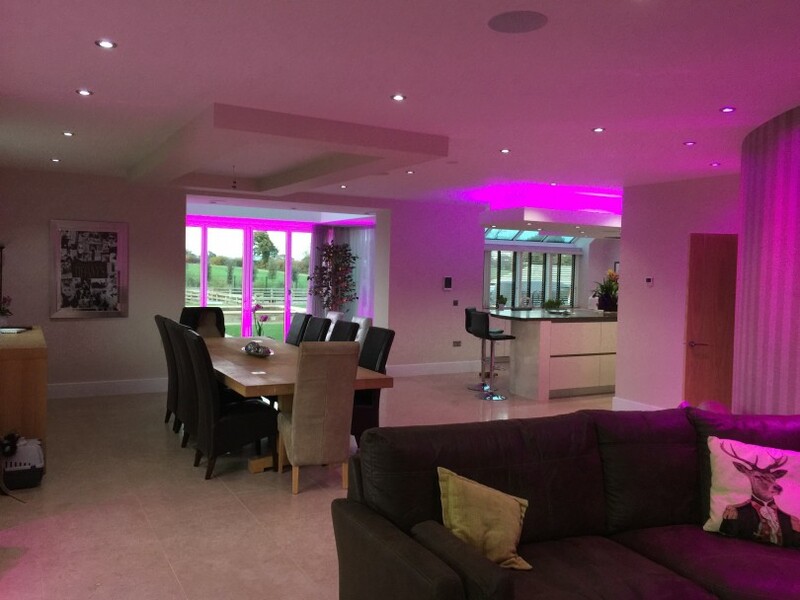 With a combination of infrared, RS232 and WiFi IP wireless control from your iPad and iPhone, we can make virtually anything possible. 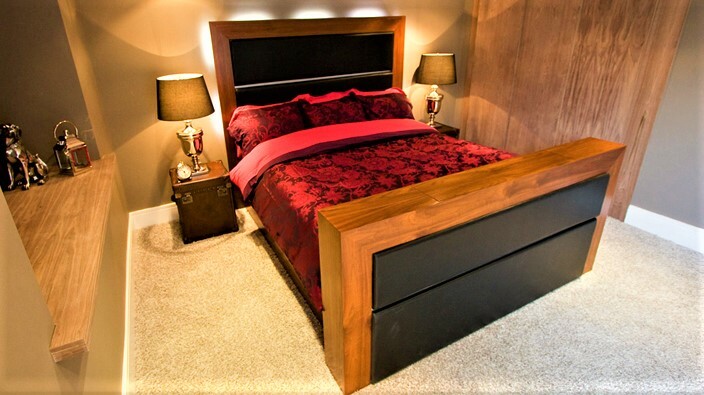 The bed is supremely well made by expert craftsmen and boasts highlights such as RGBW LED back and plinth lighting, iPad and iPhone Control, one touch AV storage. 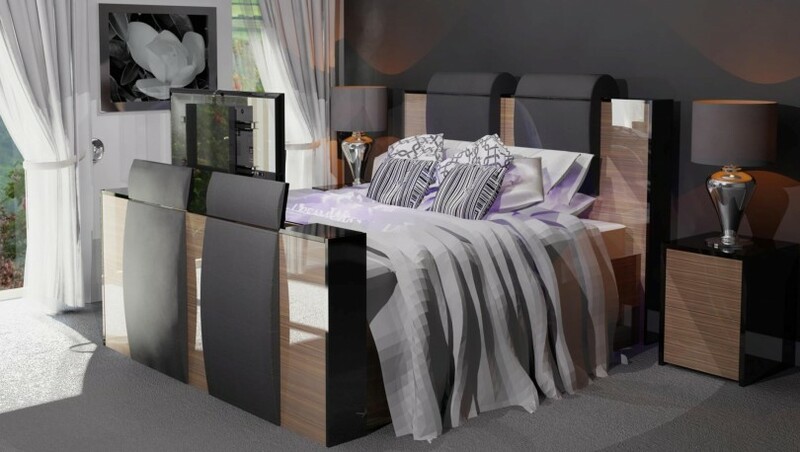 Made with the best quality materials and skills, we believe this is a truly impressive and versatile piece of furniture, limited by only your creativity our range of options are endless, delivered and installed at your home by our team of skilled craftsmen we ensure your uppermost satisfaction that will integrate seamlessly bringing that quality look to your Bedroom. Installation and setup of your installation does depend on the room it’s self and may take longer if building work of any kind is required, we will provide an estimate of the installation time for you in the our quotation.